Phase I of the Lower South Fork McKenzie River Floodplain Enhancement Project is nearing completion. Over the course of the last 10 weeks, the Project has placed over 1,300 pieces of large wood, and redistributed historic berm and fill material from 12.5 acres of floodplain to the incised mainstem South Fork McKenzie River channel. Once complete, the Project will reconnect over 125 acres of floodplain and several miles of relic floodplain channels. Beginning Monday, August 6, 2018, contractors will begin slowly returning water from a diversion channel to the old mainstem South Fork McKenzie River channel and restored floodplain. The re- watering process will slowly introduce an increasing amount of flow to the project area over a 4-5 day period. 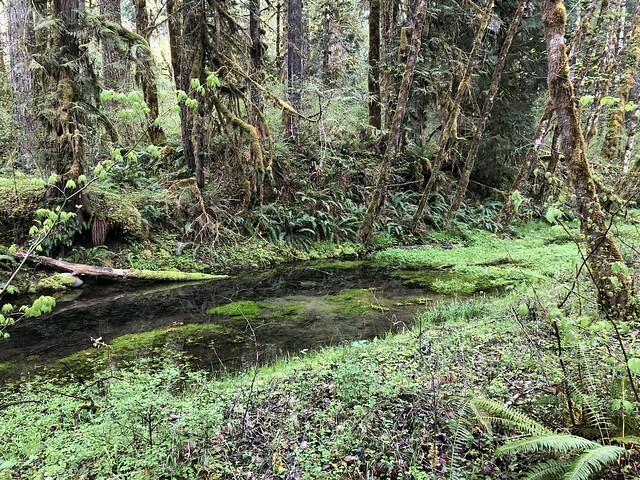 This process is designed to allow fine sediment to settle out throughout floodplain surfaces prior to flows reentering the mainstem McKenzie River. • Kate Meyer, USFS McKenzie River Ranger District Fisheries Biologist, kmmeyer@fs.fed.gov, 541- 822-7230 (office).